McALLEN — Prison sentences have been handed down for members of a known Texas street gang in connection with federal drug charges, court records show. Bobby Alaniz De La Garza and Ruperto Omar Cantu Arce stood before U.S. District Judge Randy Crane on Tuesday for their respective sentencing hearings, which were related to several transactions involving the selling of cocaine to a government informant, according to the complaints filed against the pair. Crane sentenced Alaniz and Cantu to 84 and 70 months in prison, respectively, in connection with a four-month federal investigation that led to their arrests on drug charges, court documents show. The investigation into the two men, and later a third man named Mario Edel Senteno Martinez, began in early December 2017 after federal agents received intel from an informant, referred to as a cooperating source, or CS in the complaint, about the purchase of cocaine from Alaniz. “Prior to the narcotics transaction, CS placed a phone call to Alaniz to set up the narcotics transaction,” the complaint states. On Dec. 13, 2017, agents watched as Alaniz, 39, of San Juan, arrived at a local convenience store in the 900 block of west Sam Houston Boulevard in San Juan. 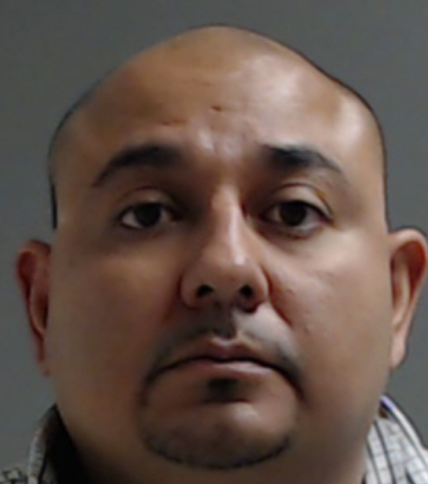 There, in the store’s parking lot, Alaniz sold the informant 28 grams of what was later determined to be cocaine, the record shows. About a month later, on Jan. 11, 2018, agents watched as the informant arrived at a residence in the 600 block of 30th Street in Mission, which later determined to be Cantu’s residence, where the informant purchased 135 grams of cocaine. Weeks later, the source called and negotiated the purchase of more cocaine from Cantu; this time outside a business in McAllen. “Law enforcement officers observed Cantu arrive at a business and exit the business upon the arrival of CS,” the document shows. During this exchange, Cantu, 44, of Mission, ordered the informant to grab a bag containing cocaine from his vehicle’s front passenger seat. Including the aforementioned encounters, complaints read that agents witnessed at least nine meetings between the informant working with the government and the two men — this during a period between December 2017 and April 24, 2018, when the informant met with Cantu and purchased 65 grams of cocaine. Between the two men, prosecutors alleged that the informant purchased a total of 1,106 grams of cocaine, or about a kilo during that four-month period. The third defendant, Senteno, 40, of McAllen, was not charged with anything involving the drugs in the case, and his connection to the other two men is not clear in the document, as his encounter with federal agents came a month before, on Nov. 17, 2017, the record shows. On that date, agents with the Bureau of Alcohol, Tobacco, Firearms and Explosives, assisted Texas Department of Public Safety officers with the execution of a state warrant against Senteno. As a result of the warrant’s execution at Senteno’s residence, located in the 900 block of East Daffodil Avenue in McAllen, authorities found him in possession of an assault rifle, and 41 rounds of ammunition, the complaint states. 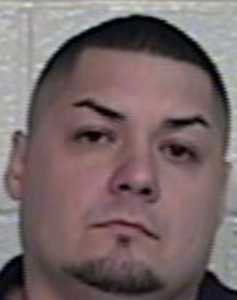 Senteno, who was convicted of a state drug charge involving cocaine in 2004, is prohibited from being in possession of any firearms because of the prior conviction. Senteno, who appeared before Crane to be sentenced only to have his hearing rescheduled, is set for Feb. 28, for sentencing, court notes show. All three man signed plea agreements in Nov of 2018, court records show. As part of their punishments, Alaniz and Cantu will serve supervised release of four years each upon the completion of their prison terms. In addition, they are prohibited from associating with any street gangs and members, specifically Texas Chicano Brotherhood gang members, the record shows. 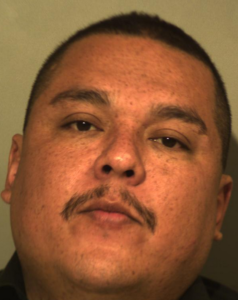 “… Defendant is to participate in a Drug Treatment Program until completion with the approval of program director and probation officer; defendant shall not associate or get involved with any Texas Chicano Brotherhood Gang members and/or any other street gang,” the documents state.